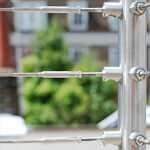 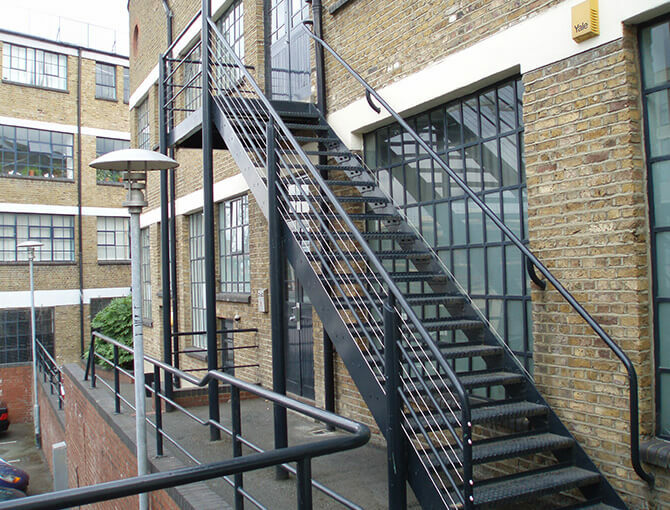 An installation of our stainless steel cable system on a balustrade in East London. 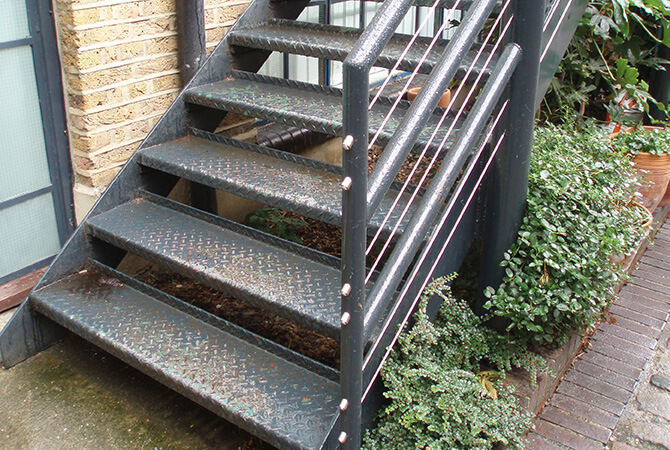 Balustrade wire mounted onto tubular uprights and easily accommodating the incline of the stairway. 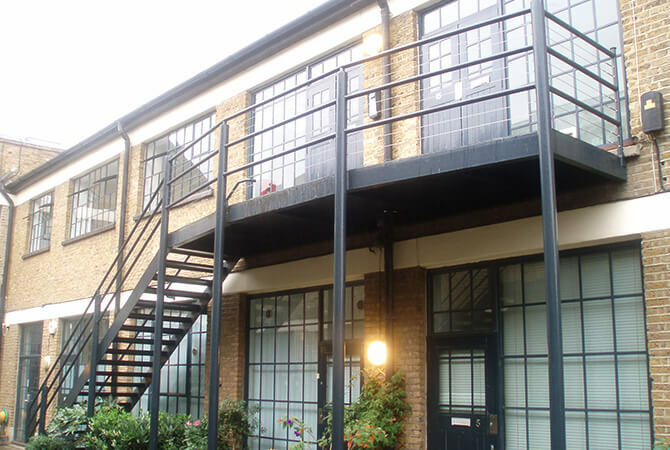 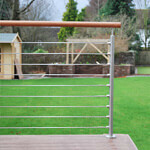 The stainless steel balustrade railing cables have provided additional safety. 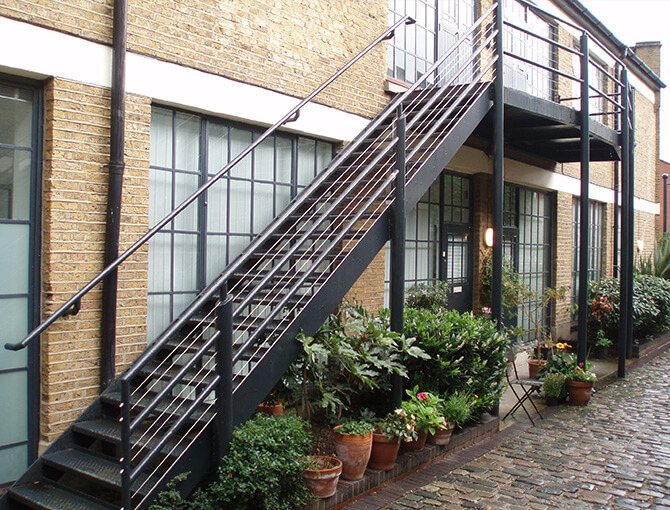 Tensioned balustrade wires also help to preserve the view. 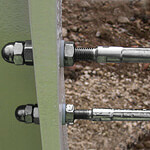 Note how the wire has been passed through the mid posts, reducing the number of cables required.